Ms. Petri Hofland from Kerk in Actie, the Netherlands and Mr. Shahab Uddin & Mr. Moniruzzaman Mukul from ICCO Cooperation visited GUK’s skill training and different activities in ethnic minority community in Gobindaganj upazila of Gaibandha district on 28 September, 2018. 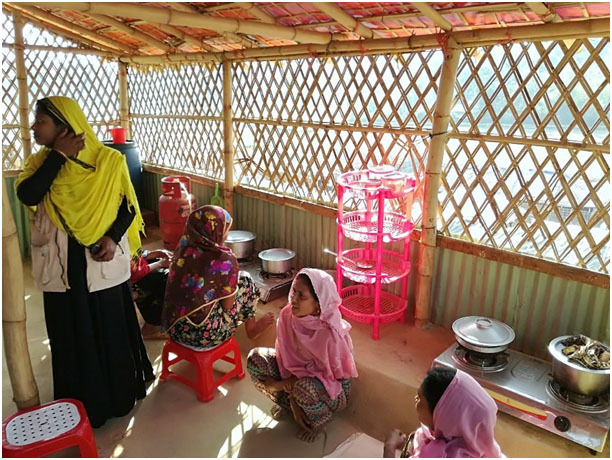 The community kitchen, initiated on a pilot basis in Jamtoli Rohingya refugee camp in Cox’s Bazar’s Ukhiya two months ago to keep the dense makeshift huts out of fire hazards, is becoming popular amongst Rohingya women as a common place for sharing with each other. The Dhaka Tribune found such community kitchens — a common cooking point for at least 25 Rohingya families — only at the Jamtoli camp out of 12 camps of the two upazilas in Cox’s Bazar. 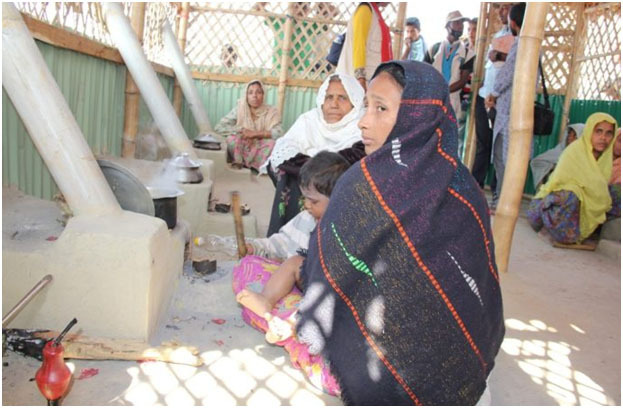 The space provides cylinder gas ovens to the Rohingya women, there are also nature-friendly locally made ovens for the time when the cylinders run out of gas. Six community kitchens were set up by Gana Unnayan Kendra (GUK) with the financial assistance of international NGO Christian Aid. A field level monitor from GUK visits the community kitchens every day to monitor the needs of the Rohingya women, said officials of the organization. The Rohingya women who are now using the community kitchen hailed the initiative. During a visit to two community kitchens named “Joba Rannar Sthan” and “Shapla Rannar Sthan,” the Dhaka Tribune found that the Rohingya women were chatting with each other while cooking. “Locals got angry when we cut trees but we had no choice. We had to do that for three months. Many days we could not even cook because we had no fuel,” she added. Another Rohingya woman, Asma Khatun of Mong E Daung village under Buthidaung township in Rakhine state, who lost her son and brother during the crackdown of the Myanmar Army last August, was upset all the time and did not talk much after coming to Bangladesh with 12 other family members. But she has recovered from the trauma thanks to the community kitchen, said her neighbour Moriam Begum. “When we cook here, we also share our emotions and needs. Then we help each other as much as we can. This is like a sharing hub for us,” said Mamtaz, mother of four. “We are happy having the cooking space. Those who come to cook here are from different parts of Burma [now known as Myanmar]. We exchange knowledge and ideas, including recipes,” said Tahera Begum, another Rohingya woman. The Jamtoli camp’s site management authorities are considering setting up 200 community kitchens for 11,471 families of the camp. 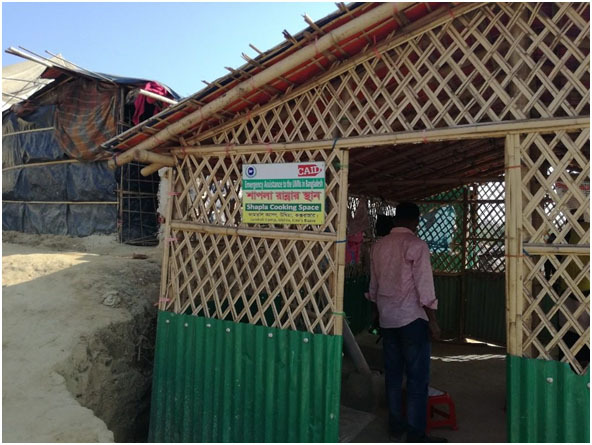 Md Monir Uddin, zone coordinator of Jamtoli camp, said: “We have launched the facility to solve cooking problems in Rohingya communities. The camp lacks cooking fuel and space for which the dwellers are not having good food, giving rise to health hazard and domestic violence. “We are providing spices, water and fuel (gas, charcoal, or diesel) to the kitchen. Different authorities have visited our common cooking spaces and planned to install such facilities in their camps,” he said. “The kitchens empower Rohingya women and girls, who are often housebound due to cultural and religious norms. They have found a place to gather, share and speak up,” said Monir, who is also a zone coordinator of Christian Aid. 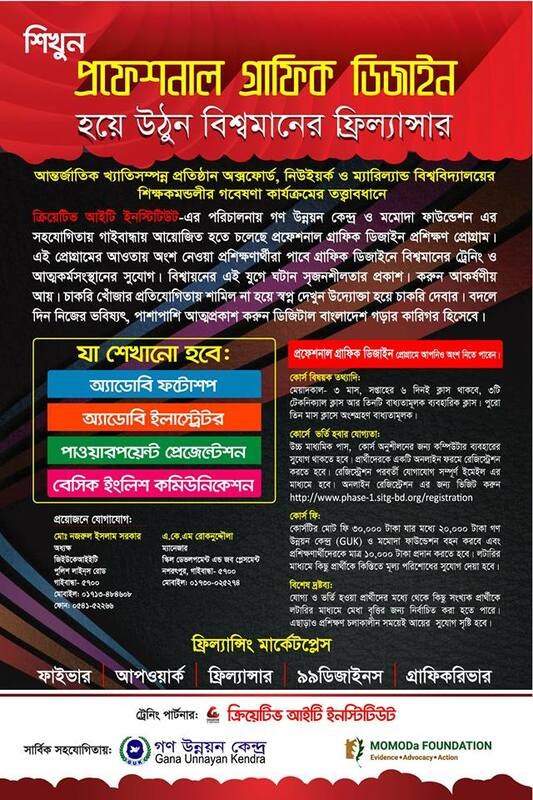 It is our great pleasure to let you know that Gana Unnayan Kendra (GUK) has received a prestigious Award-2016 of Bangladesh government for contributing lots in the field of disability mainstreaming through it’s different initiatives. On behalf of GUK, Shamima Mahmuda Yasmin, Member Secretary of Executive Committee received the award from honorable Prime Minister Sheikh Hasina on 3rd December. We think that we achieved this honor as a result of enormous support from our valuable donors, partners, government officials, people’s representatives, journalists, other stakeholders and persons with disabilities with whom we work. We express our heartfelt gratitude to all of you and also seeking your cordial support in future so that we can do more for the development of persons with disabilities. 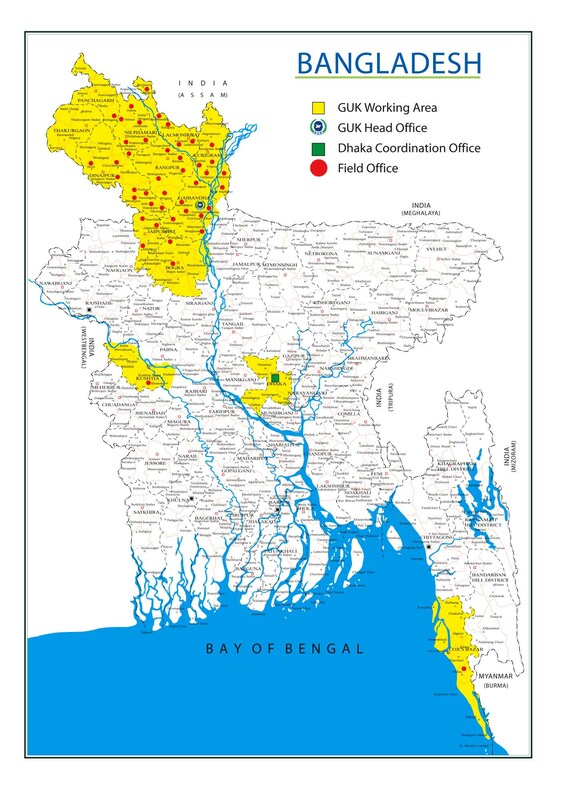 GUK is going to implement Embassy of the Kingdom of the Netherlands funded and UNFPA & ASK supported ASTHA (Strengthening Access to Multi-sectoral Public Services for GBV Survivors in Bangladesh) project in Bogura (Bogura sadar, Nandigram & Sonatalal upazila) district. 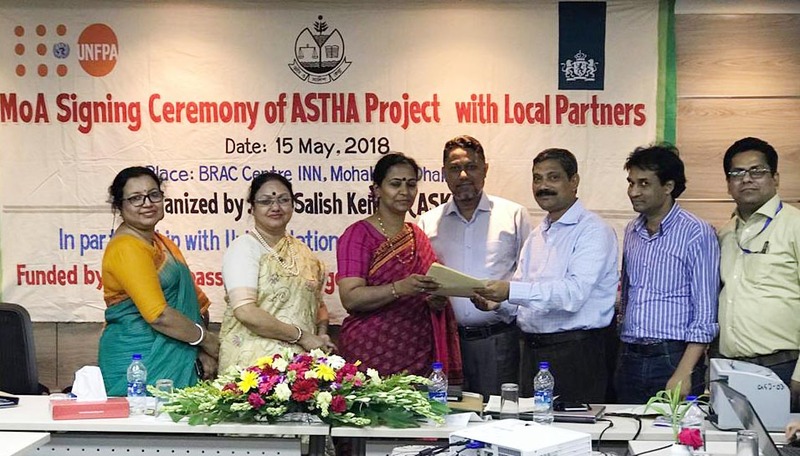 Memorandum of Agreement (MoA) of the project held on 15th May, 2018 at BRAC Centre INN, Mohakhali, Dhaka. 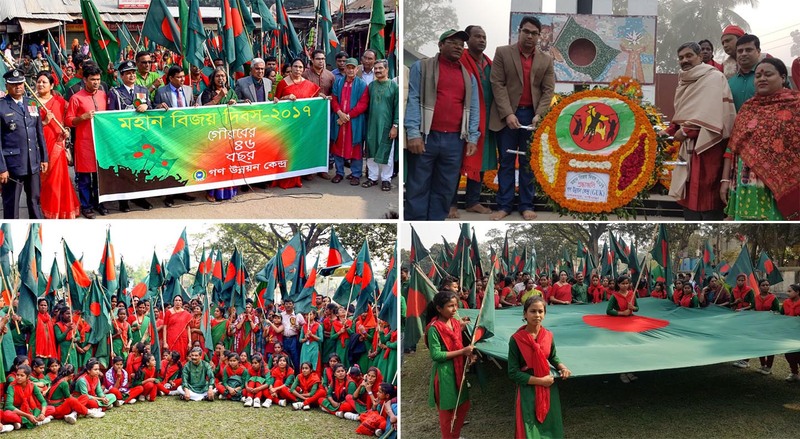 GUK organized an exceptional colorful flag rally at Gaibandha today to celebrate the great victory day 2017. Honorable Whip of Bangladesh Jatyo Sangshad Ms. Mahabub Ara Begum Gini MP inaugurated the rally while honorable Deputy Commissioner Mr. Gautam Chandra Pal, Police Super Mr. Mashrukur Rahman Khaled BPM, General Secretary of district Awami League Mr. Abu Bakar Siddique, reputed cultural activist Vice Principal Mr. Zahurul Quayyum, prominent freedom fighters and civil society representatives were present as special guests. The rally marched the main roads of the town with country song and national flag. Besides, the organization paid tributes to the martyrs of the Liberation War at the Shadhinatar Bijoy Stamva. GUK has organized 3 day long training on ‘Standing Order on Disaster and Disaster Management’ from October, 28, 2017 at GUK training centre, Nashratpur, Gaibandha. 30 representatives from different non-government development organizations are participating this training. Some miscreants set on fire to “Kunderpara Gana Unnayan Academy” high school building in the mid night on 26th January, 2017. As a result the school building along with furniture, education materials and important documents are totally damaged. Presently, classes are going on in the school field in makeshift made with flood shelter materials and education is being hampered. Here it is mentionable that Kunderpara is an isolated island (char) in the Jamuna & Brahmaputra river which is 16 kilometers north-east from Gaibandha district town. As there was only few primary schools, so there was less opportunity of education for children here. Gana Unnayan Kendra (GUK) constructed a flood shelter here after the flood of 1995. Afterwards GUK started 3 years long 9 Non Formal Primary Education (NFPE) centers in this area for deprived and school dropped out children where a total of 297 children got opportunity to receive primary education. However, as there was no secondary school, there was no scope for these children to receive further education after completion of primary education. Parents of these children then demanded for secondary school so that they can continue their children’s education. In this circumstance, GUK established this secondary school in 2003 with own finance on the flood shelter in Kunderpara with the support of community people. Presently, a total of 597 students from Kunderpara, Batikamari, Hashdhara and Kharzani islands are studying in the school. Since the establishment, a total of 150 (male-90, female-60) learners completed secondary education from the school and receiving higher education in different institutions and many are doing job. Moreover, 77 students are taking part in this year’s SSC exam.